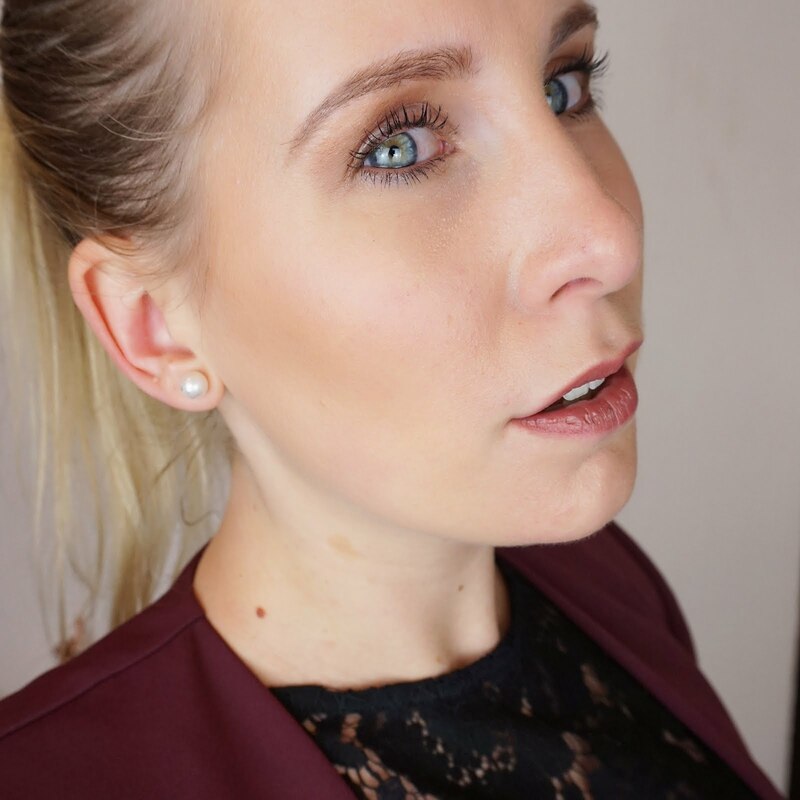 Over the last week, I have been focusing on natural ways to cleanse my skin. 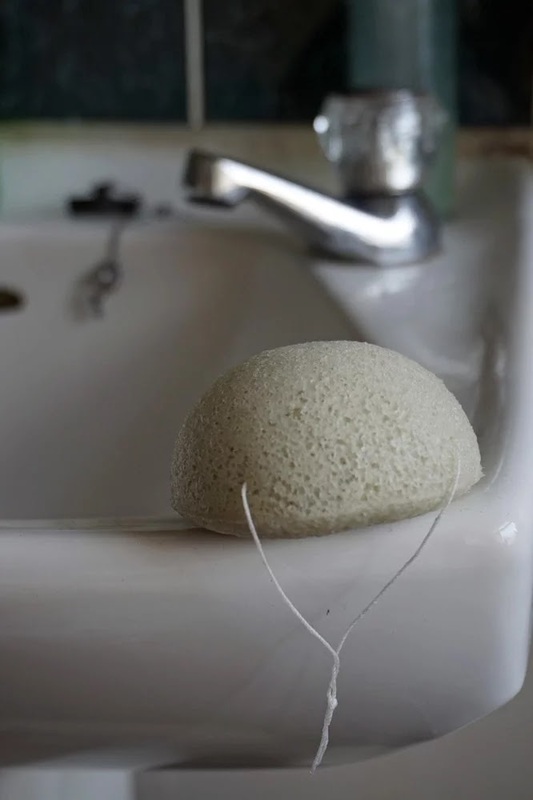 One of the items I have tried is a sponge from The Konjac Sponge Company. Their sponges are made of 100% natural vegetable material and more importantly, are cruelty free and vegan. The material used for the sponges comes from the root of the Konjac potato. The Konjac potato is a plant that originally comes from Asia. It has a low amount of calories and a high amount of natural minerals. It is also alkaline which helps with keeping your skin balanced. The Konjac Sponge Company has a wide range of face and body sponges that each focus on a different type of skin such as Bamboo Charcoal for oily or spot prone skin and French Pink Clay for tired, damaged or devitalised skin. 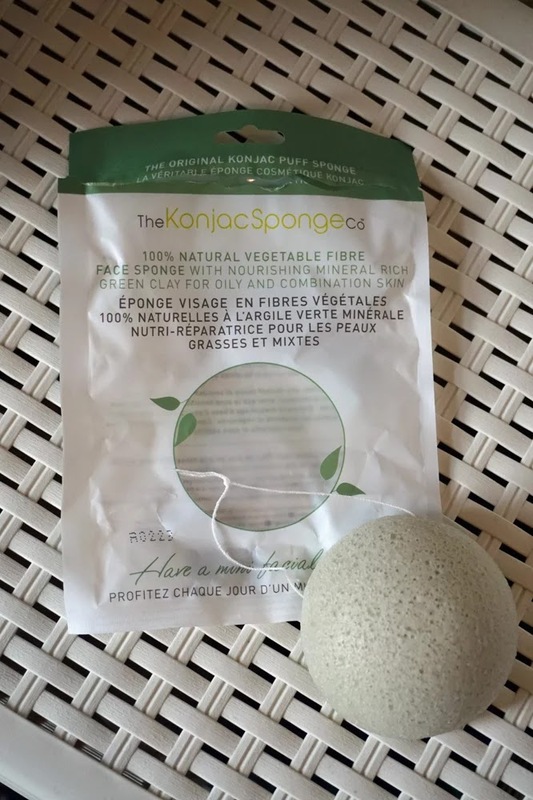 The sponge I have used over the last week, is the Konjac Facial Sponge with French Green Clay for combination skin. 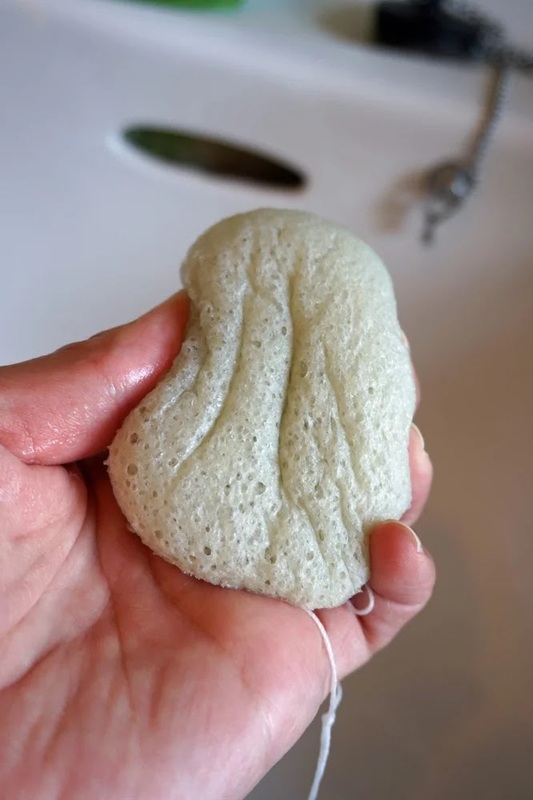 According to Konjac, this sponge is "ideal for combination skin or skin with an oily T-zone, it tightens pores, tones the complexion and revitalises damaged cells". "Have a mini facial everyday"
I have used the sponge twice a day for a week so far and all I have done is rinse the sponge, hydrate it with water and move it across my face in circular movements. After using the sponge, I carefully dry my face with my towel, rinse the sponge and squeeze out any excess water. 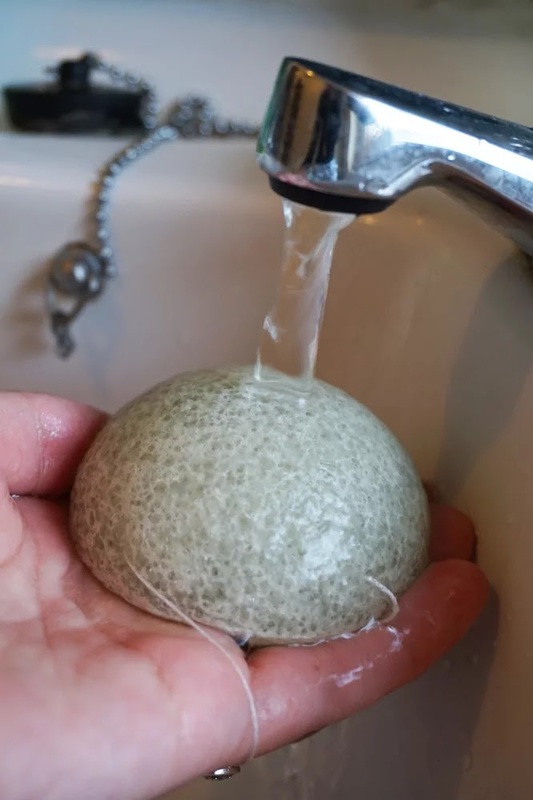 So what do I think of my Konjac sponge? 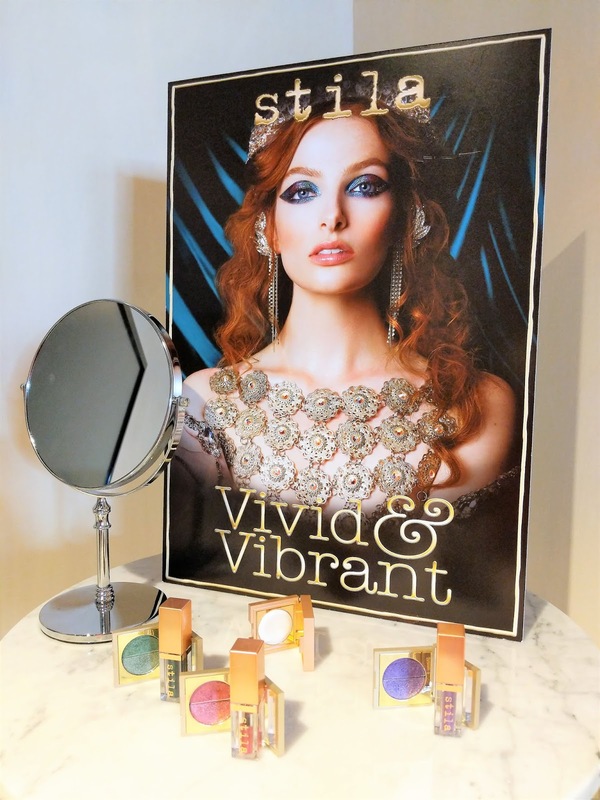 I am so glad I got to try this product! Initially I was expecting something completely different. I don't know why but I kind of thought that when you hydrate the sponge, it would foam up or something or the clay would be visible but actually nothing happens, the sponge just becomes very soft which is actually really nice. The feeling of the sponge on my skin is simply divine. I have felt nothing like it before and I can really understand where their idea of having a facial everyday comes from because it really feels like that! After just a week of use, I can already see a big difference in my pores. I tend to have larger, more visible pores on my nose and those have visibly reduced. My skin feels super soft, looks great and throughout the day my T-zone tends to get less oily than before I started using the sponge. So far, I am very impressed by the sponge and cannot wait to see what my skin looks like after a couple of months! The sponges are currently stocked by Selfridges and Harvey Nichols and for £10.00 for a facial sponge I think they are quite reasonably priced. One sponge typically lasts between 1 - 3 months depending on usage and care. Based on all the good it has done for my skin so far, I think this is definitely going to be an item I will be adding to my daily beauty routine in the future! For more information, visit The Konjac Sponge Company website. Share your experiences with The Konjac Sponge Company in a comment below! Thank you to The Konjac Sponge Company for collaborating with me and allowing me to try this beautiful sponge. This product was offered to me free of charge by The Konjac Sponge Company. Regardless of how the product was obtained, it remains my priority to give you, my readers, my honest opinion.